About this opportunity: Kingdom Abuse Survivors Project (KASP) supports adult survivors of child sexual abuse throughout Fife by providing support and counselling. KASP would like to recruit new Trustees to assist in the guidance and strategic planning of the service. If you feel that you might have an interest in supporting KASP at a strategic level and are interested in finding out more please get in touch for an informal discussion. A willingness to devote the necessary time and effort. An ability to work effectively as a team member. There is an obligation to have an understanding of the legal duties, responsibilities and liabilities but this can be learned as information will be provided through training. Being a Trustee can help develop your own network and brings a real feeling of being involved in the community and making a difference. All KASP volunteers are welcomed and valued as we couldn't do without them! Training provided: Trustees will be offered appropriate training as identified. Induction will involve meeting staff and other Trustees and getting to know KASP policies where relevant. Experience required: KASP are seeking volunteers with the following skills:- Managing people, finance, quality, strategic planning, legal requirements, IT, equalities, monitoring and evaluation, marketing and voluntary sector service provision. If you have skills and knowledge in any of these areas and are interested in finding out more please give KASP a call for an informal discussion. 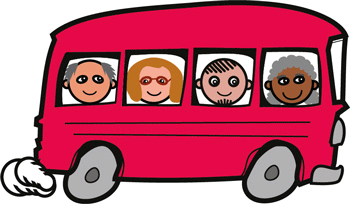 Travel Details Trustees meet early Monday evenings in our Kirkcaldy office every 6 weeks. Travel expenses are reimbursed and the office is close to both bus and train stations.